The national parks of Southern Utah are home to some of the best desert scenery in the world. Impossibly tall sandstone cliffs meet strange rock formations that defy gravity, carved by millennia of wind and rain. Zion National Park, Capitol Reef, Canyonlands National Park, Arches National Park, and Bryce Canyon make up the Mighty 5 national parks in Utah. Each brings their own flavor to the table offering everything from leisurely helicopter tours to burly backpacking routes. Let’s dive into the best things to do in the Mighty 5 national parks in Utah. by Megan of Red Around the World. Headquarters Canyon is one of two slot canyon hikes in the Waterpocket Fold located in Capitol Reef National Park, one of Utah’s Mighty 5 national parks. And if I do say so myself, from experiencing both, Headquarters is far superior to nearby Surprise Canyon, but you should see both if you’re down there. For Headquarters Canyon set aside 2-3 hours for the hike itself. It’s a pretty easy, relatively flat hike over and through a wash so most people should be able to do it. Getting to the trailhead on Notom Road from the visitor center will probably take around two hours. It is partially dirt but any car can make it, even my old Smart Car. The only time you should be more cautious is if it has recently rained heavily. The hike itself starts out as a little dirt trail before dropping into a wash. Once you’re in the wash, just follow it into the canyon which will soon be towering over you. You can follow the canyon back a little farther and eventually climb up a chute. This will most likely be the end of the trail for you and you just head back out the way you came, unless you are a seasoned canyoneer and climber. And, if you enjoy Geocaching, there is one back in the canyon, so make sure to look for that. No special gear or permits are necessary. Get out and enjoy this fantastic slot canyon in Utah’s Mighty Five. Get your free hiking planner and checklist and be organized for your next hike. Zion National Park was Utah’s first recognized National Park, and it’s no wonder why. It is one of the most beautiful and iconic places in the United States. Zion boasts of tall canyon walls, amazing camping, and epic hiking and backpacking trails throughout the park, and the Angels Landing hike is one of its most iconic hikes in Zion National Park and some might argue the entire country. Thousands of people every year come to take on the fear-inducing challenge of hiking the narrow spine and cables up to the top of Angels Landing. The Angels Landing trail is 5 miles total round trip with about 1800 feet of total elevation gain to get to the top, which translates to a pretty consistent, challenging uphill hike the entire way. There is no permit required to hike the trail at this time, but it is definitely a very crowded trail. It’s best to do this trail very early in the day to not only avoid the crowds, but also the heat, or better yet, go during the off-season. This hike is most well-known for its narrow trail toward the top of the hike, where sometimes the path is only a few feet wide. There are cables all along the way, but those with a fear of heights might find the 1,000 foot drop offs to be extremely terrifying. However, if you take your time, maintain three points of contact on your way up, and breathe, you’ll find yourself at the top of Angels Landing with some of the best views of Zion National Park, plus bragging rights to boot. Afraid of heights? Read this to beat your fear and hike higher. Canyonlands National Park is comprised of four districts: Island in the Sky, The Needles, The Maze, and The Rivers districts. One of the most popular spots to go backpacking at is The Needles District. Before you backpack The Needles, you’ll need to obtain a permit which can be purchased online on the Canyonlands National Park Backcountry website. Backpacking through Canyonlands is one of the most difficult yet rewarding things to do in the Mighty 5 national parks in Utah. The area has next to no water, so plan on packing what you need (up to six liters a day in the summer). Not only will you need water to drink, but it is likely you will need water to cook food during the trek. Check with the ranger station prior to heading out, sometimes there is a pothole that holds water if it has rained recently. Backpacking through the unique landscape of Canyonlands is a magical experience. Enhanced by the lack of crowds, the views are breathtaking. The rocks are a colorful orange, red, and yellow with long, spires formations jutting out of the ground which are called needles. 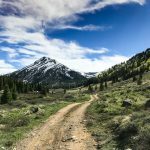 Backpacking through this national park is a beautiful experience that should be added to your list of activities to do in the five national parks in Utah. New to backpacking? Here’s your guide to backpacking like a pro. Image courtesy of Michelle of The Wandering Queen. Be prepared for your desert road trip with this customizable packing list. by Yana from Beard and Curly. 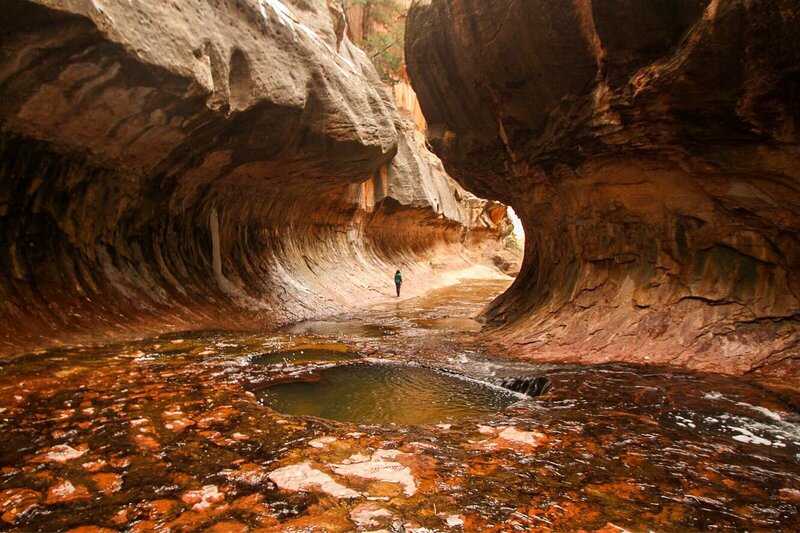 One of the most incredible hikes in Zion National Park is the Subway Tunnel Hike. It is one of the most scenic and unique places in The Mighty 5 national parks in Utah. The canyon into the tunnel is picturesque with amazing shades of orange and red. Reaching the tunnel takes a bit of effort, but the reward is worth it. There are two ways to get into the tunnel. The first way, Top Down, requires canyoneering into the canyon with ropes and harnesses. It is important to have proper equipment and knowledge to ensure a safe trip. This route also requires swimming. The Bottom Up route provides an easier access point. This route does not require any technical climbing skills. However, right before the Subway Tunnel, the trail requires some scrambling through the river bed on slippery rock. The hike is moderate to difficult and takes about 6 hours to complete. The total mileage is a little under 11 miles. A permit is required for this trail, so be sure to plan your hike in advance. You can get one 3 months in advance by lottery or last-minute 2 to 7 days before the trip. The cost is $20. Stop by the visitor center to speak to the rangers about water levels and get up to date information. Plan the ultimate Southwestern road trip with these budget-friendly tips. Arches National Park is one of the most iconic national parks in Southern Utah and America. Known for its more than 2,000 sandstone arches in an otherworldly landscape it’s easy to access, close to the city of Moab, Utah. There’s one arch that’s a little more famous than all the rest, and that’s Delicate Arch. This 65-foot-tall arch has appeared in movies and TV commercials and even graces Utah’s state license plate. Hiking to Delicate Arch is not only the best way to see the arch, but it’s also a must-do when visiting Arches National Park. The Delicate Arch hike is one of the more challenging hikes in Arches National Park. It’s a 3-mile round-trip hike with an elevation gain of about 480 feet. 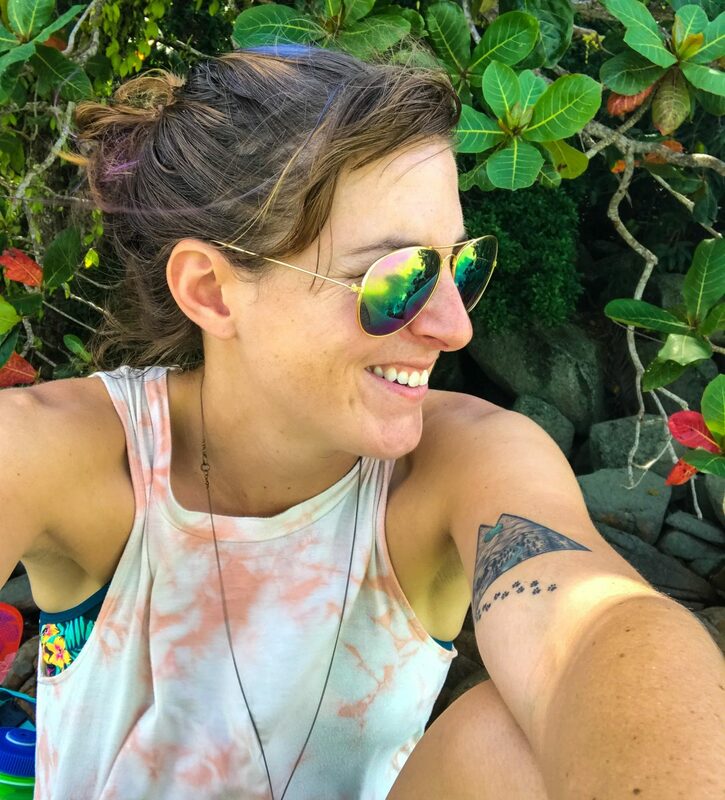 This may not sound too bad, but it’s worth noting that the trail traverses sections of slippery steep sandstone and that there’s virtually no shade to protect you – so be prepared with a hat and lots of water! The best time of day to visit Delicate Arch is just before sunset when the setting sun paints the arch brilliant shades of red-orange. But this is also the most popular time of day to tackle this hike. In order to make the most of it, I recommend picking up a picnic dinner in town and getting an early start. This way you can grab a parking spot at the trailhead at Wolfe Ranch before it gets too crowded, and you can take your time on the trail. It’s a sunset you’ll likely never forget! Bryce Canyon National Park, one of southern Utah’s Mighty 5 national parks is one of the most unique natural wonders to visit. It’s easier terrain and well-marked trails make it perfect to explore with kids. The park sits 8,000 feet high and the unique landscape creates swift winds, making the weather a bit more wild than other national parks in Southern Utah. Summer months, June to September, happen to be the peak season at Bryce Canyon with warm weather. Even when you visit in summer, you still need to carry a jacket as the winds are unpredictable. Be sure to pack plenty of warm clothing for the little ones too! 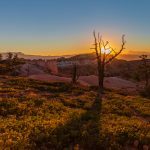 Sunrise Point, Sunset Point, Inspiration Point, and Bryce Point are all must-visit stops in Bryce Canyon National Park. Each of them offers gorgeous and unique views of the canyon. Sunset Point to Sunrise Point is a short 1.5-mile loop hike that is perfect for young kids. You’ll need a baby carrier for the littlest ones, as this hike is not stroller-friendly. The path is dirt with plenty of sharp turns that have beauty around every bend. The hike gives you a completely different sense of perspective and offers a new way to experience the landscape outside of the viewpoints. Check out the complete guide to visiting Bryce Canyon in just one day. The Mighty 5 national parks in Utah offer endless opportunity to uncover some of the most beautiful scenery in the United States. Whether you want to plan a difficult hike or simply watch the sunset over gorgeous sandstone arches, there’s something for everyone at the national parks in Southern Utah.